The mission of the United States Navy Flight Demonstration Squadron is to showcase the pride and professionalism of the United States Navy and Marine Corps by inspiring a culture of excellence and service to country through flight demonstrations and community outreach. An estimated 11 million spectators view the squadron during air shows each year. Their show season is March through November, and make sure to check out their show information and schedule to catch one of their spectacular shows. 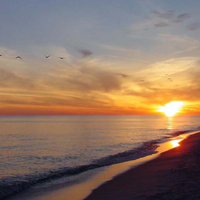 Delta Safaris is based at the 5 Rivers Delta Resource Center in Spanish Fort, AL. In addition to boat tours, outfitter services, kayak shop & landing, “5 Rivers” as it is known to locals, is a free access AL State Lands property, with a live animal and delta exhibit hall, theatrette, Live Oak forest and gift shop. 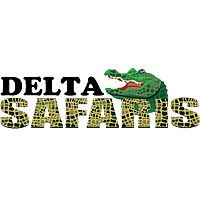 Delta Safaris operates throughout the Mobile-Tensaw Delta, the second largest river delta in the U.S., a prime location to see an abundance of wildlife and explore the recently expanded Bartram Canoe Trail – now at more than 200 miles long. From 2 hour excursions to multiple day camping, fishing and hunting, 5RDS has an adventure to fit all ages and skills. 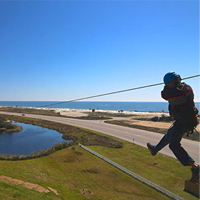 Gulf Adventure Center, located between Gulf Shores and Orange Beach in Gulf State Park, offers the Hummingbird Ziplines for plenty of outdoor thrills, chills and adrenaline rushes, but there’s more. You’ll also experience personal growth and a sense of camaraderie and accomplishment. 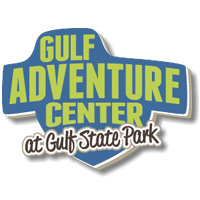 Situated on 14 acres in Gulf State Park, with opportunities for swimming, picnicking and water sports; Gulf Adventure Center is an unforgettable outdoor experience that’s guaranteed to bring friends, families and co-workers closer together. Located in Fairhope, Alabama, Capt. Lee Robinson grew up fishing Alabama's inshore waters for Speckled Trout, Redfish, Flounder, and Triple Tail. 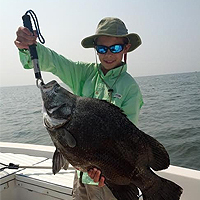 Guided inshore fishing trips are available by Capt. Lee in Orange Beach, Gulf Shores, Fort Morgan, Bon Secour, Weeks Bay, Fairhope, Point Clear, Daphne, Spanish Fort, Mobile, and Dauphin Island. "Here at LuLu's our commitment to you is providing a place we would want to visit with our families, too! 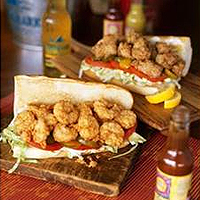 There is no chain restaurant mentality here, and we hope that when you visit, whether on vacation with family or just a night out with friends, you experience the essence that is LuLu's. When you leave, we want you to leave with a full belly, a happy heart, the memory of a GREAT TIME (and if applicable, maybe even some content and sleepy kids). More than anything, we really want you to WANT to come back and experience it again and again!!!" View their menus. For more than 100 years now, Mobile, Alabama, has been known as the Mother of Mystics. Say what you will about who started Mardi Gras - Mobile or New Orleans - it's a fact that Mobilians started the first mystic society. Without those societies, there would be no Mardi Gras as we know it today. 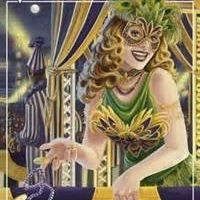 View the schedule to see when a Mardi Gras parade is scheduled to occur. "Welcome to OAK HOLLOW FARM. Outdoors we have 300 acres of land, a fishing pond, trail rides by horseback and a playground. Inside take advantage of our large, rustic barn complete with a stage and retractable screen for special presentations. The barn is the perfect setting for one of our delicious, made to order, fully catered meals with our Southern Country Menu, or our Hors D'oeurves for Weddings, or for providing a night of entertainment. When our barn fills with your guests, you've got over 6,000 square feet to socialize. For the fun loving and talented, or not so talented, we can provide for a fun night of karaoke or line dancing." OWA provides you with hours of unexpected discovery with more than 20 rides awaiting your next adventure. Be captivated by the vibrant rollercoasters or lose yourself in competitive games with your friends. OWA will open its gates mid-July 2017. Ticket prices for The Park at OWA will be announced closer to opening day, so keep a look out for upcoming news. 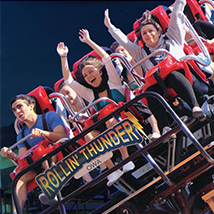 If you are a thrill seeker with the need for speed, then jump on the park's G Force ride and spin away. If you are anticipating something a little more traditional, then the teacups await. Smell the cotton candy as it is spun right before your eyes or enjoy watching kernels popping as you order fresh popcorn. Take advantage of endless entertainment possibilities at OWA. The choice is yours. 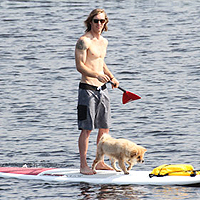 Alabama Paddle Sports is a delivery only, stand up paddleboard (SUP) and kayak rental company that offers the Gulf Coast area in Baldwin County, Alabama the best in paddlesports delivery. Alabama Paddle Sports is now offering Guided Kayak Tours at Graham Creek Nature Preserve. Our inventory includes a variety of 11' and 12' stand up paddleboards and single or tandem (1, 2 or 3 person) sit-on-top kayaks. All rentals come equipped with paddles and life jackets (PFD) at no extra cost. Please visit our additional pages for more information on delivery areas, rental rates, reservations and other stuff that includes photos, videos, news and items for sale. 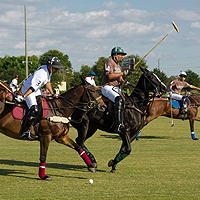 From its inception as a rough, disorganized, warlike spectacle, polo has evolved into a highly refined, sophisticated sport, combining all the excitement of horse racing, hockey and soccer. Today polo is played on an outdoor grass field 300 yards long by 160 yards wide, an area large enough to accommodate nine football fields. There are lightweight goal posts at each end, eight yards apart. 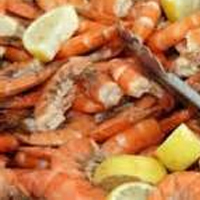 Celebrating its 43rd year, the Annual National Shrimp Festival, which draws over 250,000 people, is one of the Southeast Tourism Society’s top rated events contributing over $46 million total economic impact. There are over 300 exhibitors offering everything from fine art, arts & crafts and aretail marketplace to the Children’s Activity Center where kids can let all their creative talents loose. We also can’t forget shrimp cooked every way possibleand 4 days of continuous music featuring major national recording acts as well as all the local favorites. 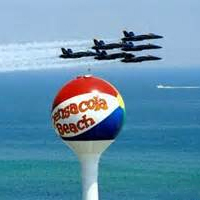 Other activities include our sand sculpture contest, the 10k run/walk, and our Shrimp Festival Idol contest. There is no better feeling than sitting at the table together, sharing good food, a few laughs and lots of love. 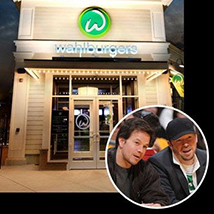 At Wahlburgers we share a bit of that feeling every day with every guest. Our hospitality comes from the heart. 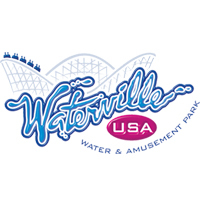 Waterville USA is a 20 acre waterpark and amusement park located ¼ of a mile from the beach in a beautiful resort community, Gulf Shores, Alabama. Waterville opened the original waterpark in 1986 and since that time the park has added over $10 million in new or replaced attractions. Waterville USA has the best collection of water rides on the Gulf Coast! The Adventure Center at Gulf State Park - Hummingbird Ziplines: 6 zip lines. 4 will traverse over Lake Shelby and there is a long dual cable to race with friends to the finish line! The final landing is on the Aircraft Carrier, a deck on the water in Lake Shelby! The Ridge Zip Line Adventure: Only 30 minutes NE of Birmingham Alabama. Zip lines are from 300 to 900 hundred feet long and can reach up to 35 mph. There’s even a double zip for racing! Along with the zip lines, you get to traverse two bridges. Butter and Egg Adventures: Nearly a half-mile of zip lines crisscross various areas of the camp. Some zip lines start from elevated, free-standing platforms while others are incorporated in tree-to-tree challenge courses. 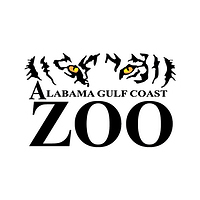 The Alabama Gulf Coast Zoo opened in June 1989 as Zooland Animal Park. The zoo was founded as a private enterprise by Joey Ward of Gulf Shores. Wide pathways throughout the park offer close up views of over 500 exotic animals including: lions, tigers, bears, primates, leopards, wolves, and more! Visit the reptile house, petting zoo, and aviary. There is a shaded picnic area, gift shop and seasonal concessions. We are open year round with seasonal animal encounters, animal shows and keeper talks. © 2019 Meadowbrook Apartments, LLC. All rights reserved.